The Best Practice Network (BPN) for medical education (mEducator) aims at implementing and critically evaluating existing standards and reference models in order to address a lack of standardized mechanisms for medical educational content sharing. As part of this work two solutions will be implemented to provide platforms for discovering, sharing, retrieving, repurposing and re-using medical educational content. 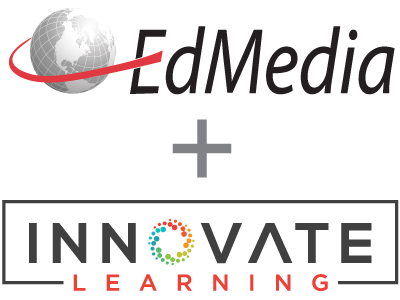 There is currently no standardized way of evaluating these solutions; however there are other systems and Web2.0 platforms that have commonalities with the mEducator solutions and as such can share aspects of their evaluation approaches. This study reviews the literature to critically compare these approaches, identify points of convergence of their evaluation requirements with mEducator and propose a blueprint for the development of an evaluation framework for assessing the effectiveness of the platforms that will be implemented through the mEducator BPN and any future platforms that attempt to address the same issues. Nicolaidou, I., Giordano, D., Spampinato, C., Pattichis, C., Bamidis, P. & Antoniades, A. (2011). Evaluation of Educational Content Sharing Solutions: Challenges of the mEducator Best Practice Network. In T. Bastiaens & M. Ebner (Eds. ), Proceedings of ED-MEDIA 2011--World Conference on Educational Multimedia, Hypermedia & Telecommunications (pp. 498-503). Lisbon, Portugal: Association for the Advancement of Computing in Education (AACE). Retrieved April 23, 2019 from https://www.learntechlib.org/primary/p/37912/. Buendia, F. & Hervas, A. (2006). An evaluation framework for e-learning platforms based on educational standard specifications. IEEE 6th International Conference on Advanced Learning Technologies (ICAL). Colace, F., De Santo, M. & Pietrosanto, M. (2006). Evaluation models for e-learning platform: an AHP approach. 36th ASEE/IEEE Frontiers in Education Conference. Graf, S. & List, B. (2005). An evaluation of open source e-learning platforms stressing adaptation issues. Fifth IEEE International Conference in Advanced Learning Technologies, 163-165. Kelly, D. (2009). Methods for Evaluating Interactive Information Retrieval Systems with Users. Foundations and Trends in Information Retrieval, 3 (1), 1-224. Meire, M., Ochoa, X., & Duval, E. (2007).SAmgI: Automatic Metadata Generation v2.0. World Conference on Educational Multimedia, Hypermedia and Telecommunications, 2007. Retrieved from http://www.editlib.org/p/25528 Moreira, B.L., Gonçalves, M.A., Fox, E.A., Watson, L.T. (2007) What is a good digital library? "-A quality model for digital libraries. Inf. Process. Manage. 43(5),1416-1437. Pedrinaci, C. And Domingue, J. (2010) Toward the Next Wave of Services: Linked Services for the Web of Data, Journal of Universal Computer Science, 16 (13), 1694-1719.